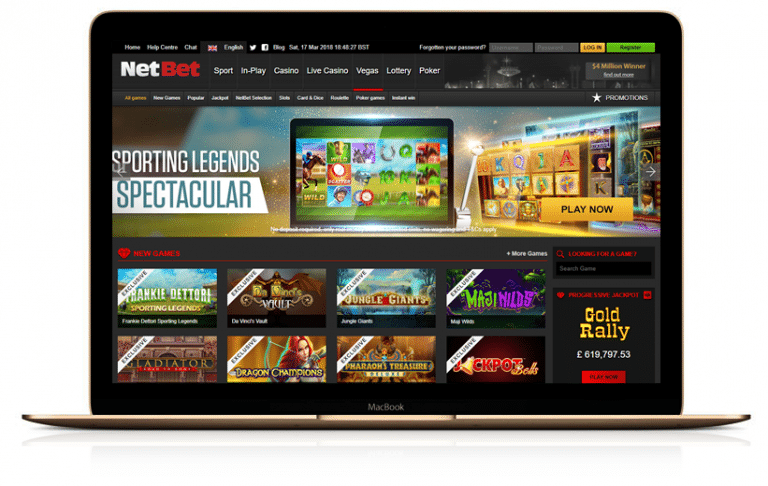 NetBet Vegas is the sister site to NetBet Casino and likes its sibling comes with a wide selection of slots from a range of developers. Powered by Playtech and Ash Gaming technology, NetBet Vegas is home to over 350 titles covering pretty much every genre and style you could wish for. It’s especially good for progressive jackpot slots with the likes of Gladiator Jackpot, Jackpot Giant and Geisha Story awarding life-changing sums of cash. Throw in a decent choice of DC Comics-themed slots and it adds up to a bumper choice of almost 40 jackpot titles. Working your way around the site is simple as the design is clear, crisp and easily navigable. New players at NetBet Vegas can look forward to a 100% first deposit bonus up to £200 in NetBet Casino as well as up to 200 free spins on NetEnt video slots at NetBet Casino. Let’s have a closer look. The first port of call if you need assistance is to head to the Help Centre which can be found by clicking on the tab in the top left hand corner of the screen. There’s a specific section devoted specifically to NetBet Vegas. It covers all of the most frequently asked questions including deposits, withdrawals and bonuses. There isn’t a search facility so if you can’t find what you’re looking for, it’s probably time to access the brainpower of the NetBet Vegas customer service team. The easiest option is to contact the Live Chat operators – just click on the Via Chat tab on the homepage and you’ll be put through to an rep. This is the quickest and most effective way of dealing with their trained team in my opinion. If you want to speak to a real person, there’s a UK landline phone number. There’s no Callback option at present though. If you’re really old school, you can also contact NetBet Vegas via fax. More realistic is the email facility with response times within a couple of hours. The customer service team is on hand from 8am until 2am (UK time) every day. Whenever you get in touch, you shouldn’t have to wait long for a response. Virtually every option you can think of is offered when it comes to uploading money to NetBet Vegas. Methods include debit and credit cards, money wallets Skrill, NETeller and PayPal as well as pre-pay services such as Ukash and Paysafecard. The minimum deposit is just £10. No fees are levied when uploading and the money should hit your account instantly. The quickest way to get your winnings out is via the wallet services. NetBet Vegas aims to get requests processed within 2 to 3 days. The minimum withdrawal is £10 with maximum amounts varying depending on the method used. There are no fees for withdrawals though, regardless of the method you choose. Weekend cashouts aren’t possible though so if you want your cash on a Saturday or Sunday, you may have to wait a little (till Monday). NetBet Vegas values security so you’ll be required to confirm who you are prior to making your first withdrawal. There’s a dedicated page on the NetBet Vegas site to upload passport, driving licence and utility bills for verification. Alternatively, email them to the customer support team. Whatever your taste in slots, you should find something to tickle your fancy at NetBet Vegas. The catalogue of games is fast approaching 250 and is replenished on a regular basis. You can browse by popularity and newness or via a trio of themes: Vegas Style, Tales and Legends and On Vacation. There’s also a search facility if you know exactly what you’re looking for. 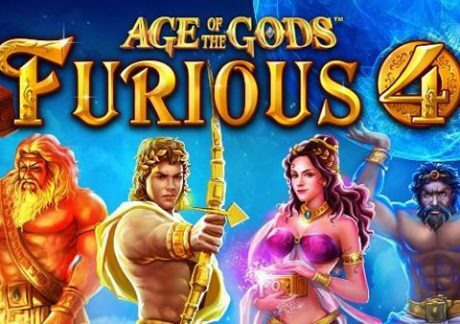 If you’re a fan of Marvel-themed slots, then you’ll find plenty to enjoy at NetBet Vegas which offers 20 of the comic-book giant’s progressive titles – I highly recommend Age of the Gods and Age of the Gods King of Olympus. In fact, the overall progressive offering is strong. As well as the superhero favourites, look out for the likes of frontier favourite Gold Rally, the superb Jackpot Giantand candy-themed Sweet Party. In all there’s are 38 jackpot titles available. There’s a fine selection from the Playtech stable including the aquatic favourite Great Blue, the movie-themed Top Gun and the wacky Ace Ventura Pet Detective. New titles are added on a regular basis. Recent arrivals to tempt Asian themed slots fans include The Great Ming Empire, Si Xiang and the volatile Nian Nian You Yu. Closer to home is Irish Luck. 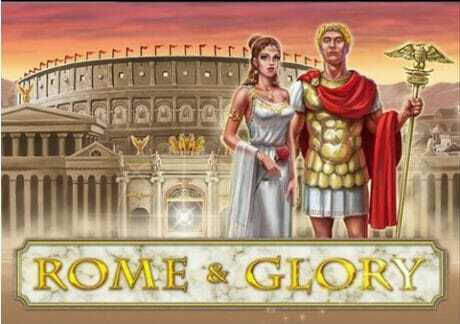 However, I recommend favourites like White King, Rome & Glory, Great Blue and Gladiator Jackpot. And if you like old school fruit machines, you’ll want to give Multiplier Madness a spin. Whatever genre or theme you favour there’ll be something to tick that box at NetBet Vegas. New arrivals at NetBet Vegas can look forward to a 100% bonus worth up to £200 at NetBet Casino. For example, deposit £200 and you’ll start playing with £400. There’s 1 important thing to note – deposits using NETeller or Skrill are not eligible for the welcome bonus so best use your debit or credit card. When you make your first deposit, make sure you use the bonus code EXCLUSIVE1 – this will reward you with an exclusive 25 free spins on any NetEnt video slot. This is in addition to the 100% welcome bonus. 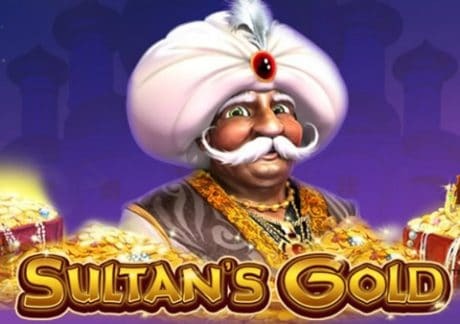 Upon your 2nd deposit, use the code EXCLUSIVE2 to get a further 75 free spins (again on NetEnt games). On your 3rd deposit, use the bonus code EXCLUSIVE3 to get 100 more NetEnt free spins – that’s 200 free spins in total! Expect plenty of regular offers once you’ve signed up at the site. 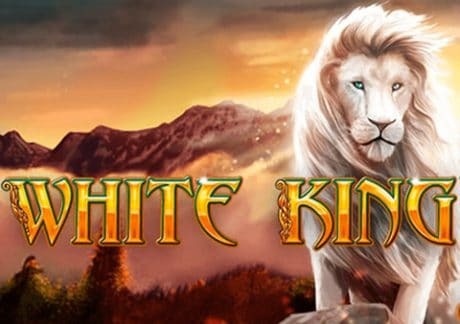 Promotions include a 50% bonus on every 5th deposit, free spins on selected Playtech titles as well as 100 free spins every single Monday. NetBet Vegas does stand out when it comes to promotions and bonuses – keep tabs on all the latest offers and giveaways by visiting our Latest News section.